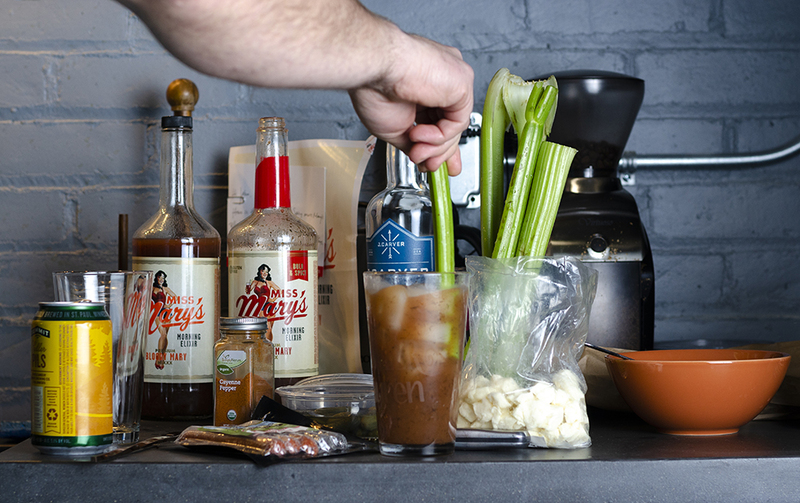 Special alert for those of you starting Big Game Sunday with a morning cocktail: we have a new favorite bloody mix. Most bloody marys, you’re no doubt aware, are thick mouthfuls of unseasoned tomato sludge that you tolerate just long enough to eat the garnish. That’s why we’re digging Miss Mary’s: it’s a much lighter mix, tastes more like herbs and green vegetables, and has just enough body to balance the vodka. 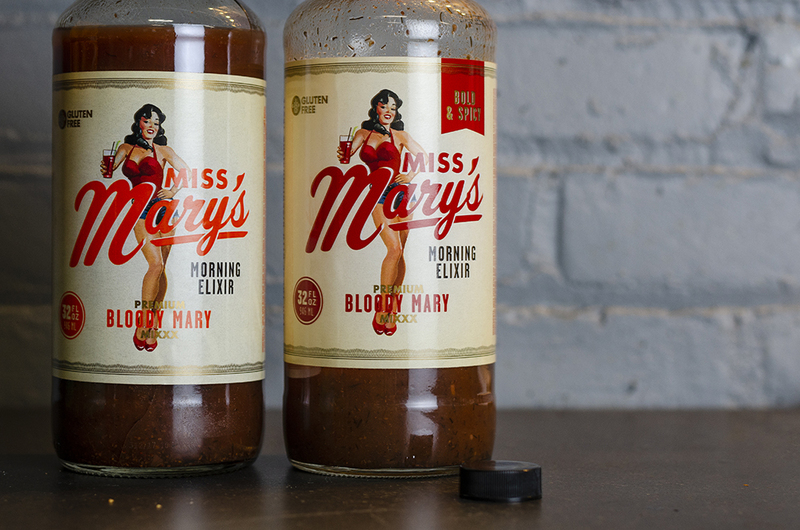 “It’s funny, bloodies are so love/hate, and there’s been very little middle ground,” says Ryan Timm, creator of Miss Mary’s. “I was always a bloody mary fan, but they all just seemed the same.” That is, except for the one Timm was selling a few years back when he managed a golf course in Prescott, Wisconsin. The house bloody mix got raves from the clientele. “In a golf course environment, you’re selling a lot of bloody marys and a big part of any golf course is the bar revenue,” Timm says. “And if you’re serving a thick, heavy bloody mary, your clientele is getting full and they’re leaving.” But their mix was lighter and leaned more on herbs for its flavor profile. Golfers would order more than one and constantly try to purchase the mix by the bottle. After a couple seasons of hearing those demands, and with plenty of downtime in the winter, Timm endeavored to replicate the mix for retail—changing it to suit his tastes, making it from readily available wholesale ingredients while still keeping the quality top-notch, and keeping the flavor profile consistent with the original formula. And it still lacks the bloody’s signature ingredient.